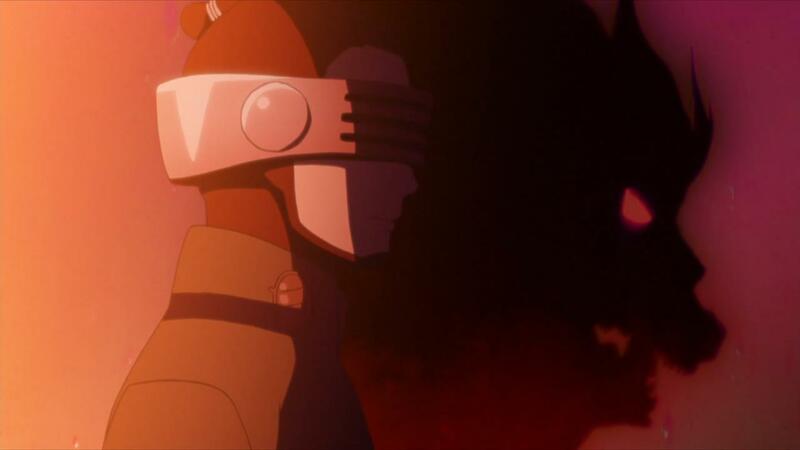 This week’s offering was a definite improvement over last week, but there’s still some lingering problems that Boruto needs to address before the show can truly reach the next level. 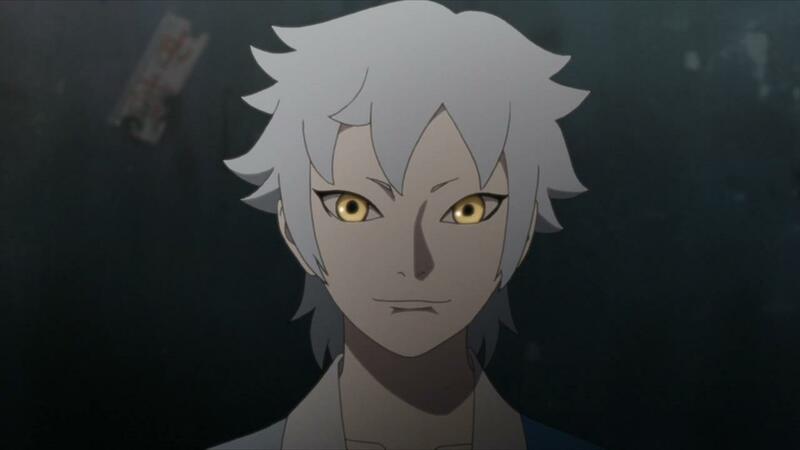 Lingering issues aside, Boruto really managed to juggle the setting up of the large over arching mystery with the introduction of an entirely new character, Mitsuki. Okay, maybe entirely new isn’t accurate, as we’ve seen Mitsuki already in both the Boruto movie, and in the OP and ED themes for the show. What’s so great about this week’s episode is how it manages to make the introduction for Mitsuki darn interesting, despite the fact that he’s a character we’re already familiar. The show did it for Boruto and Sarada, and now its done it again, and really given us a better sense of who Mitsuki is without revealing too much yet either. Mitsuki’s fascination with Boruto is interesting, especially given what we hear at the very end of the Boruto movie. I won’t go over what that is just yet, if only because I’m aware of the fact that the manga also goes over the events of the movie, and so there’s potential that we’ll see it here in the series. To that end, I will say I like the entirely different dynamic that Mitsuki and Boruto have to say, Naruto and Sasuke. Naruto and Sasuke were bitter rivals and slowly grew into friends. The two now famous heroes also were pretty bad at playing well with others or even interacting with them. 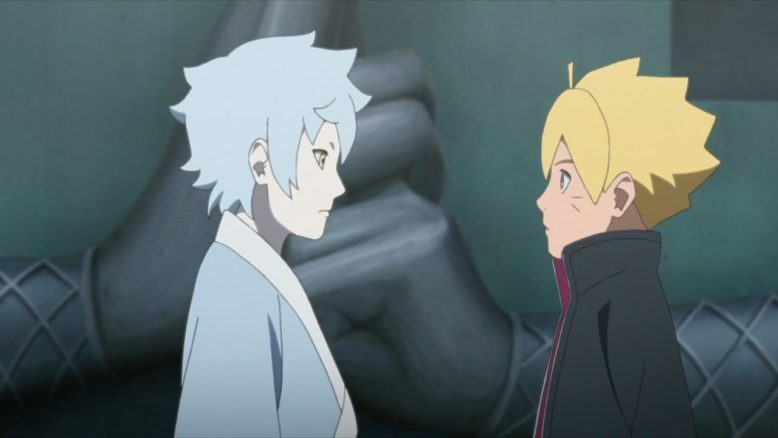 So to see Boruto and Mitsuki kind of almost hit it off in a way, is just a nice change of pace. It really does help further cement Boruto as its own story, with its own dynamics. Mitsuki, for his part, is the right version of mysterious, quirky, weird and friendly and definitely really adds something to an already pretty big cast of characters. He’s pretty knowledgeable too. 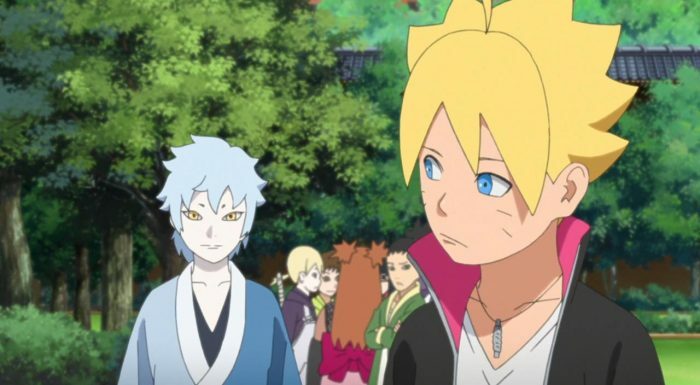 Speaking of which, since we’re on the topic of how different this new generation is from its older one… Color me surprised about Boruto’s little problem solving skills. Boruto actually knew some of the stuff that was being taught in class? You’d expect that since he’s a trouble maker, he’d not be as good of a student as he is, but I think that again, points to the positive impact that parents can have on children. Boruto has an aloof father sure, but he’s got a very caring mother too. I have no doubt that Hinata was able to teach and direct her son to actually study, and its perhaps thanks to her, that Boruto’s turning out to be a lot better of a kid than his dad ever was. Which, the fact that you can infer all of that from just the mere event of Boruto knowing some math problem, is the incredible genius of this show and story. 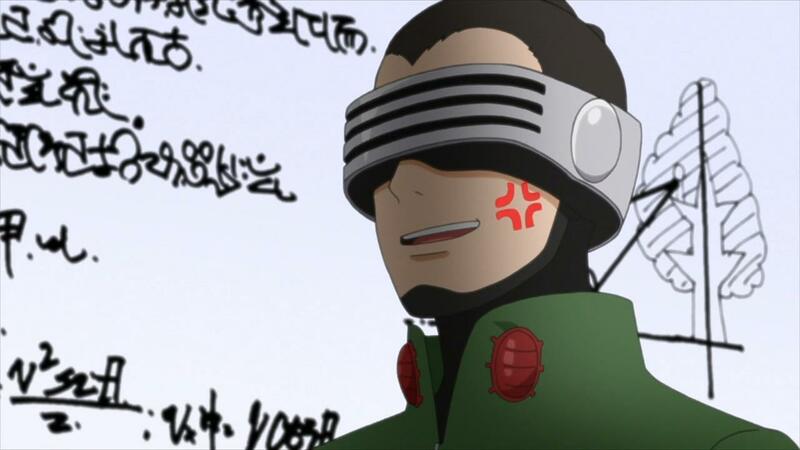 My expression every time Shino appears on screen. Now, while there is a lot of good stuff in this story, the one that’s been a sore thumb for me has been none other than “Shino-sensei”. If you recall my previous posts about this show, I didn’t even realize who this teacher actually was. It was thanks to people in the comments that I actually recalled that Shino was the bug guy from the original series. I have no words… NO WORDS! Really? 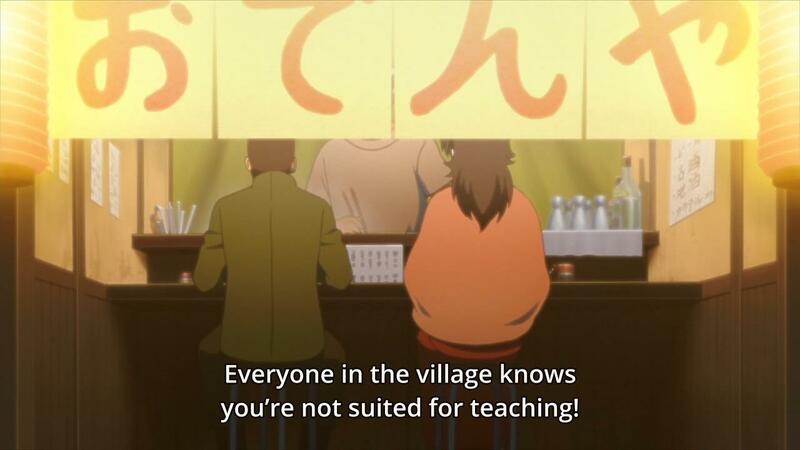 If everyone in the friggin village knows that Shino isn’t suited to teaching, then maybe he shouldn’t teach? Or hey, maybe he can get some mentoring/training from a more experienced teacher? We see people like Iruka (Naruto’s teacher) as the principal of the school, and yet the decisions and ideas here just baffle me. Iruka himself should be able to tell that Shino needs some serious help, and not just “leave” the most difficult class to one of the most inept teachers he has. 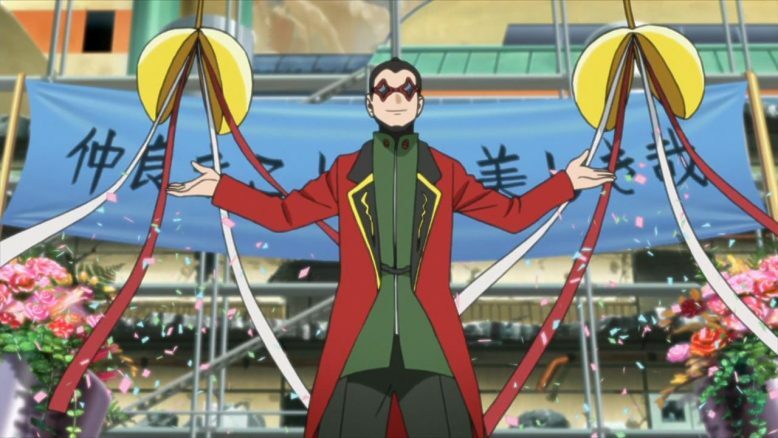 Maybe I’m being too hard on Shino, but the show just isn’t doing the guy any favors. The flamboyant dress-up that he does for Mitsuki’s welcome party, coupled with the stupid moving stuffed animals, just doesn’t seem like something a respectable adult and teacher would do. And yet we see Shino do that, cause more problems and then basically just brood and take the frigging day off because things don’t go his way. To add insult to injury, his own students realize how bad of a teacher he is and continue to feel sorry for him and cover for him. I know the show is just doing it all in jest, making a joke at Shino’s expense and all that, but it’s really starting to wear thin. This just feels like a recipe for disaster, and it feels like someone should step in and stop it, for both Shino and his students. The one saving grace, I think, for Shino is the fact that he actually becomes a full out villain in the whole “purple dark aura” mystery that the show has going on right now. Having Shino actually want to kill Boruto, Mitsuki and Shikadai is actually a really powerful way to raise the stakes. Sure Boruto and the rest have been able to take down every other thing that’s come at them, but this is an actual teacher and a warrior that came from the same age as Naruto himself. THAT is exciting. It’s exciting, its scary, and I think its the first real challenge that will test Boruto and Mitsuki in a really great way. Plus I know Shikadai probably won’t be on team Boruto when they become Genin, but DAMN do I enjoy the friendship and dynamic between him and Boruto. It’ll be great to see to the three boys basically deal with this pretty monstrous turn of events.